Fresh starts, new beginnings and plenty of vigour – the new year beckons with potential. So many people will be thinking about a change in their career or starting a business right now, we thought it would be a great time to introduce one of the amazing entrepreneurs who is growing a business right here at Cookes. Malik is the owner of Urban Design UK, a retailer with a shopfront on eBay. 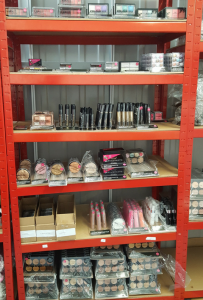 With a growing range of genuine branded cosmetics, Malik has joined a thriving platform to become one of the 3.4 million sole traders in the UK. His business has expanded from a modest home business to a successful store, taking over three storage units at Cookes. In 2018, Malik plans to increase his online presence on other platforms and with his own website. Of course, launching your own business is hard work and gaining a foothold on a platform as busy as eBay isn’t easy. Malik began his business some years ago selling mobile phone accessories, before moving into men’s accessories and cosmetics. Over time he refined his range and is moving towards high-end brands such as Max Factor and Revlon. Quality pictures do require a good camera, and Malik has invested in photography equipment, and of course, his laptop. However, by selling online he avoids expensive outlays on city centre rental prices. Having a self-storage unit does have its advantages though. “I started the business from home, and moved into a storage unit after just a few months. It means the house is free from boxes of stock, and I have set business hours. Plus, storage units are not that expensive, I can expand the size of my shop when I need to, and there is no long term commitment, so I feel in complete control of my business,” Malik expands. Malik original launched Urban Design UK in London, before moving to the Midlands with his family. He also tried a couple of different storage providers before settling at Cookes. “Originally I was looking for low costs and a company that took in stock deliveries for me, which most of them do. However, after spending some time in the unit packing deliveries, I quickly realised that I also needed professional level lighting, wifi and, most essential, heating. It can be very cold in some of those units even in the summer. With plenty of shelving provided by Cookes, Malik can easily access stock for packing and posting. Urban Design UK sell on eBay under the seller name of Urban Arc. Malik stocks only genuine cosmetics, and only lists anything he has in stock, so it can be sent out quickly. He is also happy to discuss any products or concerns with customers, usually via the eBay messaging system. 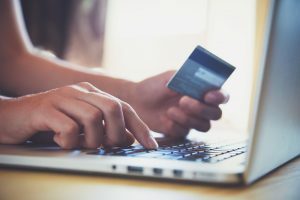 If you are thinking of starting your own online business, then 2018 could be your year. To discuss storage options, just call the friendly Cookes team on 0121 285 5197.